Coachella will take over the Empire Polo Club grounds for two weekends this spring: April 11 through 13, and April 18 through 20. In keeping with tradition, the festival’s reach will once again extend to venues throughout California for a series of sideshows. 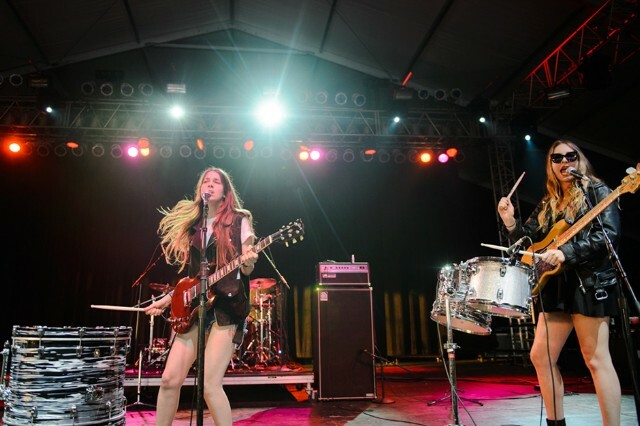 Haim, the Knife, Neko Case, Afghan Whigs, Blood Orange, and Broken Bells are all booked to perform bonus gigs. 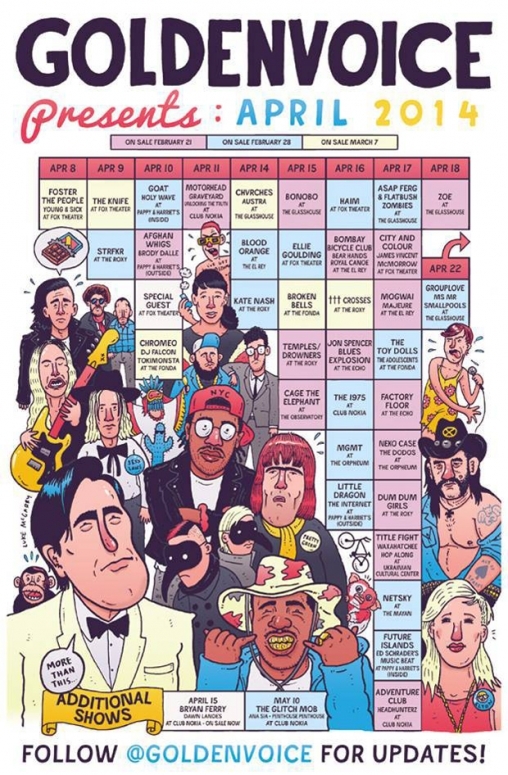 Here are the rest of the artists on deck: CHVRCHES, Dum Dum Girls, Chromeo, MGMT, Factory Floor, Kate Nash, Mogwai, Austra, A$AP Ferg and Flatbush Zombies, Ellie Goulding, Crosses, Jon Spencer Blues Explosion, Goat, Future Islands, the Internet, Bonobo, Motörhead, Foster the People, DJ Falcon, STRFKR, Waxahatchee, Temples, Drowners, Grouplove, Bryan Ferry, Cage the Elephant, MS MR, Bombay Bicycle Club, Tokimonsta, Smallpools, Little Dragon, the Dodos, the 1975, Title Fight, Unlocking the Truth, Majeure, Zoe, Graveyard, Holy Wave, Brody Dalle, the Toy Dolls, the Adolescents, Hop Along, Young & Sick, the Glitch Mob, Dawn Landes, Adventure Club, Headhunterz, Ed Schrader’s Music Beat, Netsky, City and Colour, James Vincent McMorrow, Bear Hands, Royal Canoe, Ana Sia, and Penthouse Penthouse. The sideshows will take place between April 8 and May 10, and are scattered across various venues. Ticketing information is available through the Goldenvoice website. Coachella proper promises live sets from the reunited OutKast, Beck, Queens of the Stone Age, Pharrell Williams, the Replacements, Neutral Milk Hotel, Skrillex, and many, many more.